The smartest thing an online gambler can do is be wary about which Internet casinos they spend their time and money on. Not all online casinos are created equally – for all the fantastic, above-board casinos out there, there are just as many cowboy’s running dodgy operations. When playing at a reputable site, it is 100% safe to play your favourite online casino games, you just need to be aware of how to choose the right venue. We explain what to look for to identify a safe online casino site, and how to tell if a casino is regulated and verified by a trustworthy gambling jurisdiction. Playing for real money at an Internet casino is completely safe, provided you are playing at a regulated, certified and reputable site. Reputable online casinos employ the latest in Internet security systems, using a minimum of 128 Bit SSL security to ensure player security at all times, which is the same level of protection used by leading online banks and financial institutions. They also have dedicated customer service teams on board to help players if any issues do arise and are backed by industry regulators like eCOGRA, an independent auditing service catering specifically to the online gambling industry to ensure game fairness, operator conduct and player safety. 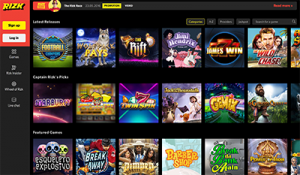 All the online casinos you’ll find recommended on our website are completely safe, secure and have undergone rigorous testing by our team to ensure safety, regulation and service levels. However, due to differing online gambling laws, not all online casinos accept players from all countries – refer to our casino table above which has been geo-targeted to recognise your location and only recommend top-rated, safe casino sites that accept players from your area. There are certain signs you can look out for that will tell you straight away whether a casino is to be avoided. Firstly, check where the casino has received its licensing. Legal online casino licenses are generally distributed from the Isle of Man, the UK, Curacao, Gibraltar, Malta, Alderney and Kahnawake. If the casino mentions it is licensed anywhere else, especially any other European country, the United States or Australia, get the hell out of there. Have a look around the site and ask yourself if it looks legitimate. If the text is fraught with spelling errors and nonsense, it’s likely to be run by amateurs and should be avoided at all costs. Head to the sites ‘About’ section and have a read about the company. If it’s legit, it will mention details about who runs the casino, where they operate from and disclose contact details of their offices and telephone help lines. If there is no contact information, you can be sure this is not a site you want to put your hard earned cash into. Also, check what kind of gaming software the casino uses. All the leading, reputable online casinos use big name software like Microgaming, Net Entertainment, Bet Soft, NextGen/NYX Gaming, Play N Go, Playtech, Quickspin, etc. If the casino lists gaming software you’re not sure of, do a quick Google search to find out more about it. If you can’t find information on Google, you can be assured that the software is 100% dodgy, and you should bail immediately. Only ever use reputable casinos like the ones recommended on our website. Check to see if the casino is licensed and regulated by esteemed gambling industry bodies. Always read the terms and conditions of any promotion or bonus offer before you hand over your money. Set yourself limits when gambling so you don’t exceed your own personal financial limitations. Never disclose your personal or banking details to other players within casino chat rooms or email. Choose a secure payment method, like Visa or MasterCard, which have dedicated security teams protecting their customers around the clock. Consider using an e-Wallet like Neteller, Skrill or ecoPayz, which are also fantastic for online safety; there’s no need to disclose banking details to casinos or any third party. Always use a trusted VPN (virtual private network) service for an extra layer of security. Yes, the best online casinos are fully regulated by various gambling industry authorities. You should never place a real money bet at an Internet casino if it is not regulated. The best casinos will be accredited by the industry body within their county of licensing, for example, the Malta Gaming Authority, and all leading sites are supported by eCOGRA (e-Commerce and Online Gaming Regulation and Assurance). Look for the eCOGRA seal of approval before placing any real money bets online. This seal ensures that the casino has been independently audited to comply will all gambling industry standards. eCOGRA was established in the UK in 2003 and has had a massive contribution on ensuring player security and providing peace of mind to online gamblers. Amongst other things, eCOGRA exists to protect vulnerable players, prevent underage gambling, fight fraudulent or criminal behaviour, guarantee fair gaming and ensure prompt payment of customer winnings. The casino tables on our website have been geo-targeted to recognise your location and only recommend online casinos that accept players from your country. Refer to the casino table at the top of this page for a full list of the safe, certified and regulated casino sites that accept players from your region, and sign up using our links to get access to some excellent new player welcome bonuses.